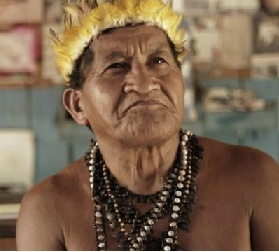 Ongoing heartfelt protests by the Munduruku tribe of Brazil's Amazon region against the Belo Monte dam have continued along with the chiefs of more than 60 villages. 'Progress' is well and good, however, we are at a point in our development when precious resources, spiritual, cultural and habitat must be protected. Brazil, as the keeper of much of the world's resources and beauty has this responsibility, even as she faces the apparent need for increased power for inhabitants in the larger cities to the south. Though work towards the Belo Monte dam has continued, let us pray the cry of these tribes, their women, men and chief's will be heeded.